Air mesh for hot summer days: This is the Alpinestars jacket for hot summer days and heat reflections on the tarmac ahead of you. Pure airflow! Prepared for Nucleon KR Ci chest protectors: Don't like the idea of a mesh 'tea bag' to keep you safe? Armour up with the Nucleon range of Alpinestars protectors front and back in addition to the excellent Bio armour shoulder and elbow panels. The outer shell features Alpinestars' distinctive waterproof inner pocket. 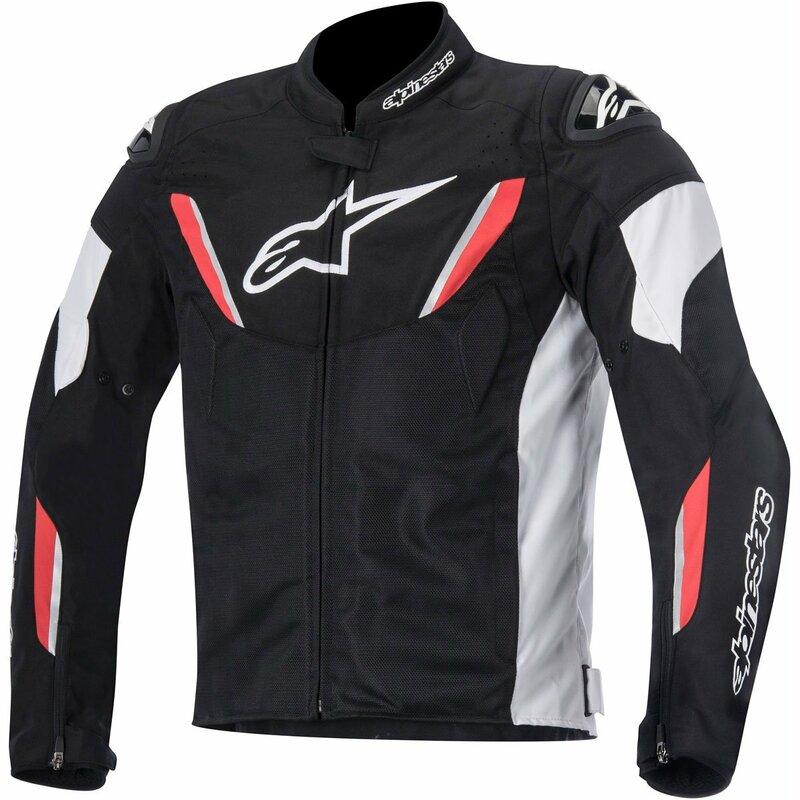 Stand-out feature: Sports mesh jacket prepared for the Alpinestars Nucleon range of protection.